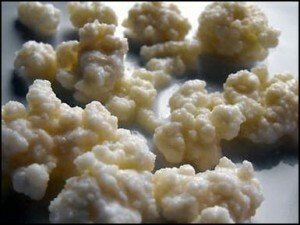 Tag Archives: How to make milk Kefir ? How to Make Milk Kefir ? Make Milk Kefir at home ? Milk Kefir (usually pronounced as keh-FEER) is basically a slightly carbonated but delicious milk beverage, fermented and similar to buttermilk or yogurt. 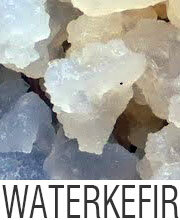 Kefir is nothing other than fermented milk (room temperature) with the kefir grains for almost 24 hours. It has amazing health benefits, flavorsome and is endured well, even by person who is lactose intolerant. It’s easier to prepare than yogurt because it involves no heating/ incubating. Moreover, kefir has comparatively a larger spectrum of probiotic when compared to yoghurt. The sustainable, reusable grains make it economical. 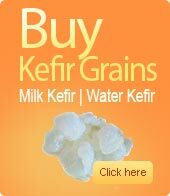 With the popularity of kefir comes misinformation accompanied with deceiving products. Authentic milk kefir is only made with live kefir grains, instead of any form of pre-made or powder (or store purchased kefir). A kefir that is available in stores is mere imitations. Real and healthy kefir can be made only with experience at home. Leave the contents at room temperature up to about 24 hours. 48 hours makes it thicker, and sourer, 12 hours makes it sweeter and thinner. The temperature affects how quickly this culture works. 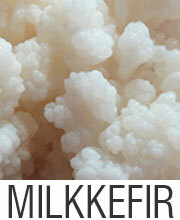 As a result, during the summer months, milk kefir ferments faster. Once it has been ready, strain the kefir in a jar. While fermenting, the kefir grains float on top of the milk with cream. 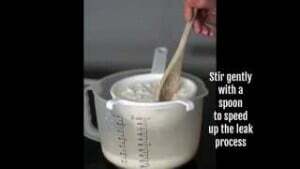 So stir to mix the solids and the liquids, gently using a wooden spoon. That way it gets easier to strain. Use the clean wooden spoon or hands for scooping the culture from this kefir (it is easy separate and feel from liquids). The post is straining, these grains are to be placed back in a jar without washing. Fresh milk is to be poured to the grains for making another batch. Ensure everything you use is well cleaned (jars, hands and implements). You wouldn’t surely like to contaminate a living culture. Store the prepared kefir in your fridge, in any glass jar. You may keep adding new batches of milk kefir to the jar and shake to mix.